There were once thousands of hectares of ash trees (Fraxinus ornus and F. angustifolia) cultivated throughout northwestern Sicily as a source of manna (sugary sap). Today, this natural and cultural heritage has been reduced to 250 hectares around the towns of Pollina and Castelbuono, in Palermo Province. Because of its steep terrain and marginal soils, this area has never been suited to mechanized agriculture. Only 20-30% of the ash trees are still productive. 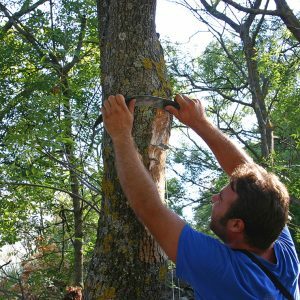 During the summer, the frassinicoltori (“ash growers”) make incisions on the trunks of the ash trees and the bluish, resinous substance that flows out turns into whitish stalactites of manna when it is exposed to the scorching sunlight. The tools used to harvest the manna include the mannaruòlu (for making incisions) and the rasula (for scraping manna out of furrows in the bark). Prickly pear paddles are placed around the tree to collect any sap that drips to the ground. 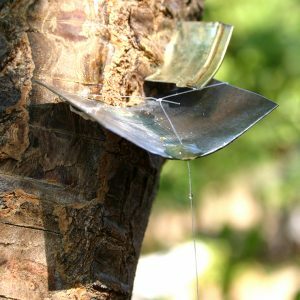 Not all of the manna is of high quality: Only the sap that forms stalactites and does not touch the trunk is pure, while manna scraped from the bark contains impurities. The people who gather the manna are called ntaccaluòri and, though there are still quite a few of these people, most are elderly. Following the Second World War, the cultivation of ash trees and collection of manna was the principle activity of families in the Madonie Mountains, but today only two people still rely on collecting manna as their primary source of income. In the 50s, thousands of quintals of manna were exported or processed in Italian manna factories, and manna harvesters could usually collect about 300 kilograms a year, as compared to the 90 kg per year per person that is common today. 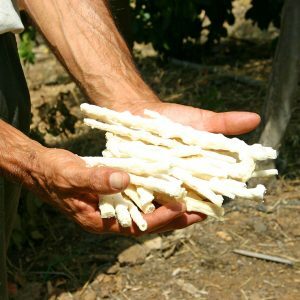 In 1965, 1 kg of manna sold for 1,500 lire; today, manna farmers’ income is minimal and the future of ash cultivation looks bleak. This practice must be preserved for both its environmental value (it can help keep the Madonie territory from becoming degraded) and its cultural-historical significance (the ash groves are a kind of open-air museum). Harvest takes place from July to August, but manna is available on the market year-round. The Presidium unites manna producers who have signed a production protocol with the goal to improve harvest techniques (thus increasing yields of high-quality manna) and guarantee the production of natural manna (there is a lot of counterfeit manna on the market). The Presidium only markets pure manna (manna eletta), a stalactite of which is called a cannolo. Manna eletta is light and spongy with a very faint flavor, and has a low glucose and fructose content. It has been used for centuries as a natural sweetener and it has purifying and slightly laxative properties. Today, most manna is transformed into cosmetics, pharmaceutical products, and sweeteners. The pure cannolo manna is sold by herbalists as a laxative and purifier. This ancient product is also suitable for use as a sweetener in cakes, pastries, puddings, and other confectionery specialties.